Bullion Bank Run: Gold And Silver Prices Clobbered Repeatedly, Hit Bottom, Start To Recover! Beware June 30–The End Of QE2! US Government Takes Two More Steps Toward Nationalization Of Private Retirement Account Assets! In aftermarket trading on April 29, the price of gold reached around $1,570 and silver climbed to about $49.50. With building momentum, it looked like gold had a good chance to reach $1,600 the following Monday and for silver to reach an all time high (ignoring inflation) above $50. Neither metal made those targets. In plain English, the prices were bushwhacked. Before I give you the nuts and bolts of what has happened over the past month, let me review what happened to end the 1979-1980 bullion boom. Among the most outrageous rule changes was a prohibition against new purchases of long silver contracts on the COMEX. Parties who already owned long silver contracts were restricted to only one option–to sell it to a party holding a short position. Prices quickly collapsed. Jump to the past six months. When the December 2010 and March 2011 COMEX silver contracts matured, the available COMEX registered inventories were hopelessly inadequate to meet delivery commitments. So, as COMEX rules permit, unusually large numbers of these contracts were settled for cash. There were multiple reports of March contracts being settled for cash at prices more than 30% above the spot price. Further, the US dollar had been incredibly weak in late April. Adjusted for inflation, it was at its lowest level since the US government allowed its value to float against other currencies starting in 1973. Even without adjusting for inflation, the US Dollar Index, a measure of the value of the dollar against a market basket of other currencies, had reached a three year low and was not that far from its all-time lowest level. Both silver and gold prices started to climb after Fed Chair Ben Bernanke’s press conference on April 27, a sure sign that foreign and domestic investors realized that Bernanke’s remarks did not instill confidence in matters American. It was obvious that the US government had to take further measures to cap gold and silver prices.Fortunately for the feds, the Tokyo market was closed on Friday and China, Vietnam, and most European markets were closed on Monday. More thinly traded markets magnify the impact of any manipulation efforts. 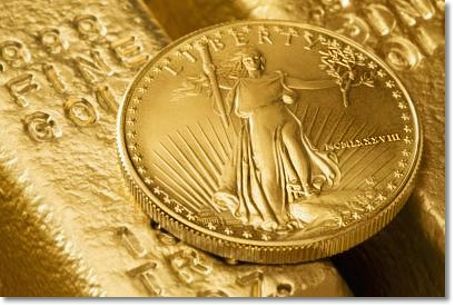 The basic reason the US government wants to hold down gold’s price is that it is basically a report card on the US dollar, the US government, and the US economy. If the price of gold is rising, that is a sign that one, two, or all three are headed in the wrong direction. Silver often trades in sympathy with gold. If the prices of gold and silver were to rise, that would eventually force the US government to pay higher interest rates on its soaring debt. A fall in the value of the US dollar (the counter-party to rising gold and silver prices) would also lead to much higher consumer prices. Higher interest rates would also force up the cost of mortgages. On Friday April 29, the COMEX, for the second time in one week, imposed a 13% increase in silver margin requirements. Late the same day, a subsidiary of TD Ameritrade raised its internal margin requirement for silver contracts to $30,000, more than double the new COMEX margin requirements. Also that Friday, Man Financial Global (MFG) raised its internal margin requirements for its customers holding leveraged silver accounts to $25,000 per contract. As part of the network of allies working on the suppression of precious metals prices, you need to understand some of the relationships. JPMorgan Chase is the lead trading partner for the Federal Reserve and Goldman Sachs is the lead trading partner for the US Treasury. These firms are intimately involved in helping the US government pass along orders to other trading partners about the execution of tactics designed to meet the goals of the respective agencies. For instance, former top Goldman Sachs officials hold significant positions, including Jon Corzine (CEO of Man Financial Global), Gary Gensler (chair of the Commodity Futures Trading Commission, and William Dudley (president of the Federal Reserve Bank of New York). Now, let me get back to the silver market. As I had previously written, there was also a developing shortage of available physical silver outside of the COMEX. It looked to me that the Wall Street firms that had (and still have) huge short positions in gold and silver were on the brink of default on these contracts, if not outright bankruptcy. So, it was not a total surprise to me that, once again, there were numerous rule changes during the last week of April into early May made by the COMEX and some trading houses to force down the silver price (in particular) and gold. Many people make investments borrowing money to leverage their results. As prices rise, it is sensible for the exchanges to raise margin requirements on such investments. However, the COMEX raised margin requirements for silver contracts five times over a two week period! Before these hikes, the minimum margin per contract was $8,700. On May 9, when the fifth increase took effect, it then took more than $21,000 minimum per contract! The last four margin requirement hikes occurred after the price of silver was falling–which does not make sense unless the real purpose was to suppress prices! The net effect of these rule changes was that it has left many leveraged investors unable to meet these margin calls. As a result, a significant number of long contracts were liquidated during the first half of May without regard to the price. In addition, the mainstream media gave more coverage to the silver market in early May than it seemed like they had given it over the past few years. Virtually all of this coverage was along the lines that there were major sellers out there, everyone was taking profits, the “bubble prices” of gold and silver had peaked, and the like. Yes, it is true that in an overall boom market for gold and silver, there will be periodic bouts of profit-taking, where prices dip for a short-time. The trick is to ascertain whether such a decline is a normal market correction, a permanent reversal, or if it was the result of price manipulation at the behest of the US government. The information available indicates that virtually the entire decline in prices can be attributed to the desperate actions by the US government, its trading partners, and allies. As prices started to drop there was some profit taking selling by “weak hands” buyers locking in profits, but this was not significant. Let me list some of the more obvious gold and silver price manipulation tactics used during early May. As I said, the raising of internal margin requirements had the effect of forcing many customers of these companies to liquidate leveraged accounts. In addition to the manipulation of trading activity, there were also three story lines fed to the mainstream media on Sunday as supposedly explaining why gold and silver prices should fall. First, the death of Osama bin Laden was claimed to have instantly made the world a safer place, so there was less demand for gold and silver as safe haven assets. Second, the president of Bolivia in his May Day speech did not announce further nationalization of the country’s mining industry as he had sometimes done in recent years. Opposition to doing so had come from that nation’s miners. Therefore, the threat of a small decline in silver mine production did not come to pass. Third, China was supposedly backing off its demand to purchase commodities as part of the nation’s efforts to combat rising consumer prices. This story was especially spurious, as the only commodity that experienced a significant price decline was silver. As would be expected in the circumstances, a large number of sell orders were executed as the Japanese market opened for trading on Monday May 2 (at 6 PM Eastern time zone Sunday evening). Shortly after trading started, the price of silver dropped 12% in only eleven minutes. Freely traded markets do not move like this in the absence of major market developments. While gold was comparatively little affected, it also declined a few percent. Some “weak hands” technical traders, who focus more on price movements than the reasons behind the changes, sold their long gold and silver positions to lock in some profits. Both prices proved to be more volatile than normal on Monday. Lower prices continued into Tuesday. This greater price volatility had the desired impact (from the perspective of the US government) that owning gold and silver were less attractive as safe haven options for investors. Demand for physical precious metals on May 2 and 3 was subdued compared to the past two weeks. Beginning on May 4, bargain hunters resumed buying, though not quite at the same frenzied pace we experienced in March and April.